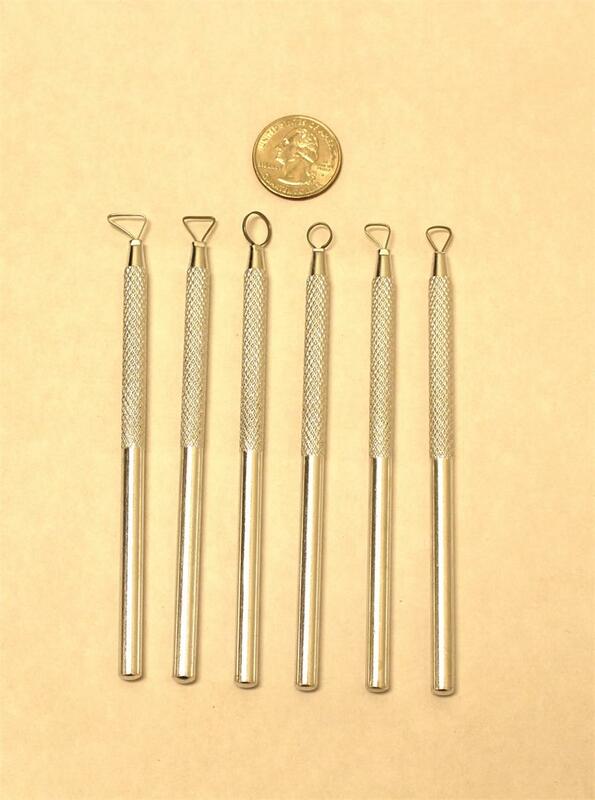 Set of 6 mini metal sculpting tools. 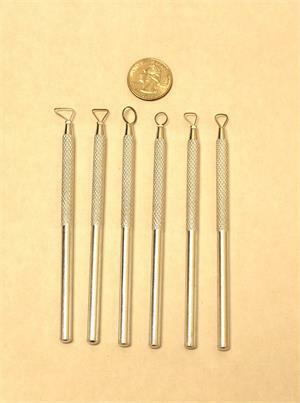 Tools measure approx. 5". Quarter is for size reference only and will not be shipped with the order.